Today was Day #4 of Chocolate Beverage Theme Week. 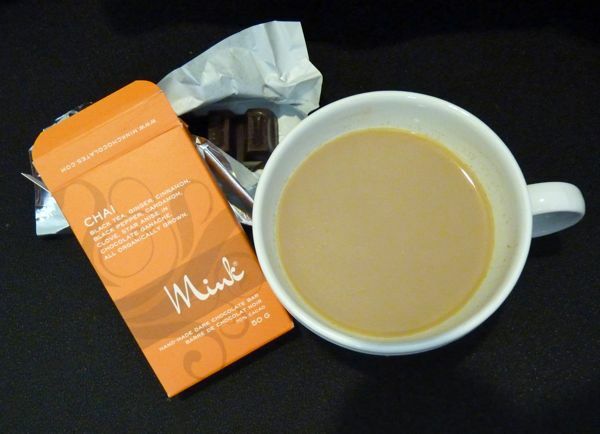 And today's beverage was a hot cup of chocolate chai, and a bite of "Chai"- a dark chocolate bar from Mink Chocolates (Vancouver, B.C. ), flavored with black tea, ginger, cinnamon, black pepper, cardamom, clove and star anise, in a dark chocolate ganache. No one flavor dominated; it was a very pleasing chai tea blend. 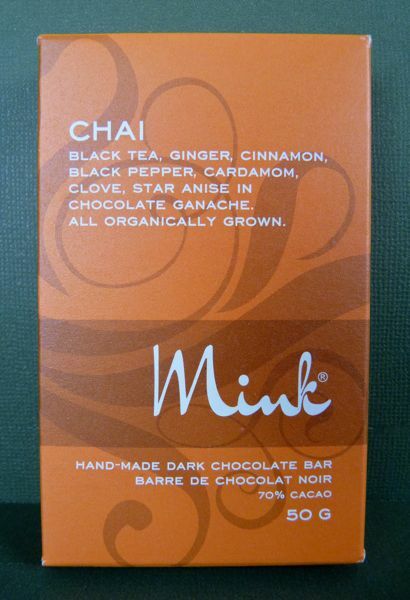 The tea and spices in this 70% cacao bar were organically grown.